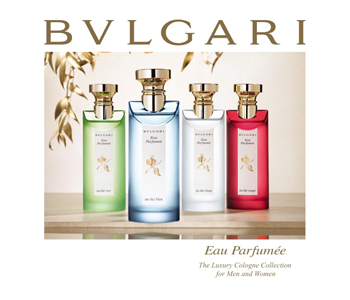 BVLGARI Eau Parfumee Au The Bleu is the aquatic and airy fragrance in the Bulgari Eau Parfumee family, crafted to create a beautifully fresh feel for men and women. Taken from the finest Chinese Oolong tea, Eau Parfumee Au The Bleu is a floral infusion of aromatic luxury with a precious and sumptuous feel, creating a sensory experience for you mind, body and soul. Nuances of refreshing lavender and sensuous musk transport your senses into new sensations of renaissance, creating a unique olfactory experience.